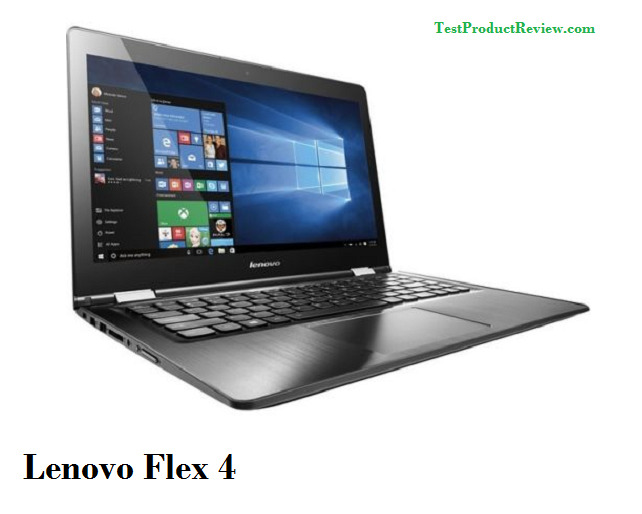 The Lenovo Flex 4 (15”) is equipped with Intel® 7th Gen Core™ processor. The processor performs fast and makes the 2-in-1 suitable for daily work, heavy image-processing applications, browsing and gaming as well. The machine itself feels more expensive, with a diamond-cut beveled edge around the aluminum palm rest. The keyboard is improved with larger keys for speed typing. The battery is said to provide up to 7 hours of life on a single charge according to Lenovo’s tests. In reality, you can expect 6 hours of battery life when doing regular work + browsing or around 3,5 hours if watching video. The laptop recharges quite quickly, in around an hour. The storage offered is up to 1 TB HDD or 512 GB SSD, which means you can enjoy the extra space and say goodbye to external hard drives. The stereo speakers featuring Audio by Harman technology deliver crisp, clear sound. The laptop’s weight is in the middle range, starting at 4.58 lbs (2.08 kg) and measures 0.84" (21.3 mm) thin. The Flex 4 is noticeably sleeker, however given the powerful specs, the weight is not in the lighter range as could be expected. You can use the Flex in four different modes: Laptop, Stand, Tent, or Tablet. The unique hinge design allows the screen to flip around 360 degrees, so you can select the mode based on what you choose to do. However, most users prefer it as a table machine / laptop since 15,6 inches is a bit too big and awkward to be used as a tablet. (inches) : 14.88" x 9.96" x 0.84"